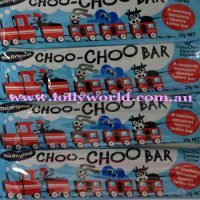 Choo Choo Bar is a hard chewy licorice in a 20g size very popular in Australia. The licorice bar recently made a comeback after being absent from the market for 20 years. You can buy Choo Choo Bar in a 5 pack or in a box containing 50 bars. 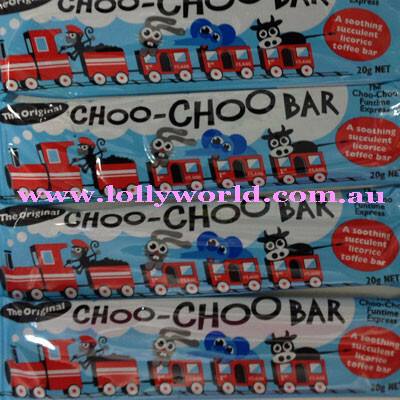 Choo Choo Bar is a hard chewy licorice in a 20g size very popular in Australia. The licorice bar recently made a comeback after being absent from the market for 20 years. You can buy them in a 5 pack or in a box containing 50 bars.